On Epiphany Sunday, 7th January 2018, Orson and Reuban were promoted and appointed as the new Head Choristers of Saint Leonard’s Parish Church Choir in Loftus. 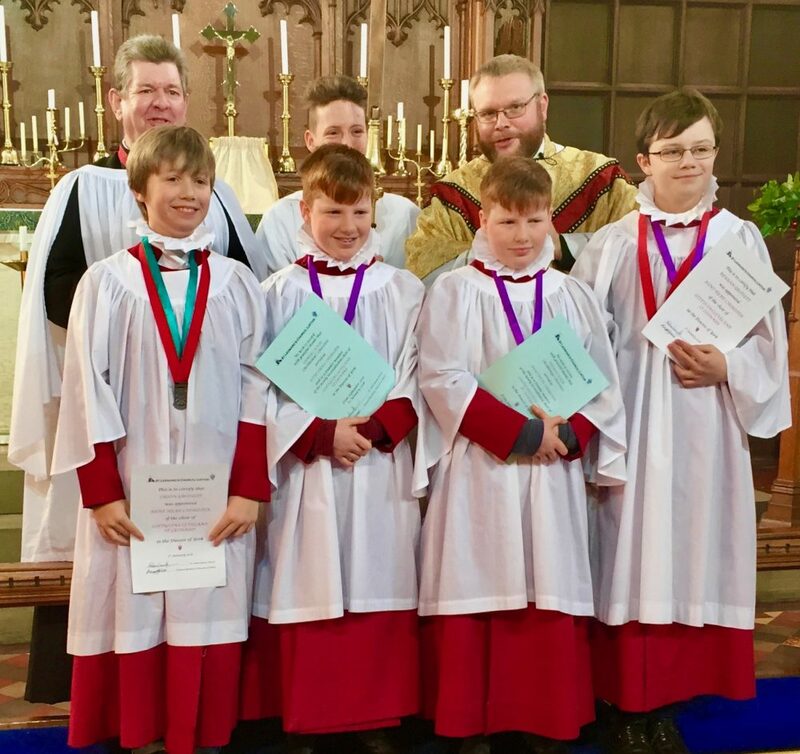 The retiring Head Choristers Samuel and Thomas were publicly thanked for their sixteen-months of service to Saint Leonard’s Church Choir and were presented with tokens of thanks and appreciation as they handed on their positions of responsibility to Orson and Ruben. Loftus Church Choir is always keen to encourage new singers from across the area to join us. The parents or guardians of any children aged seven or above, who may be interested in joining our growing Church Choir, should contact our Director of Music Mr Richard Bendelow on 01287 634429 or attend one of our Sunday Morning Services at 10:30am and introduce themselves to Mr Bendelow or to the Rector.